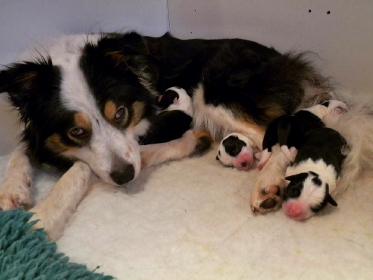 Ellie and Piper’s puppies arrived save and sound on the 16th January! We have two boys and two girls, all black and white except a tri girl. Elli is doing a great job! All puppies from this litter are spoken for.